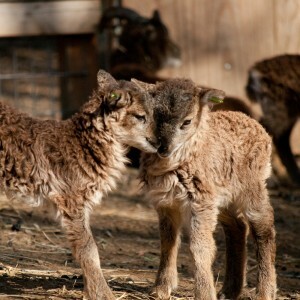 Before Soay lambing starts in earnest around the country, I thought you might get a kick out of some of the naming pairs our ordinarily serious and conservation-minded colleagues have chosen for their twins. It’s all well and good to use place names, flower names, national park names, girl scientist names, and similarly earnest themes. But apparently we as a group cannot resist frivolity when it comes to twins. Most of these seem obvious to me, but a couple of them have me stumped. Can you identify the who or why of all of them? Let me know if any of these stump you and I’ll do my best to provide the rationale, or perhaps send you to the breeder who used the names.